Avast, me hearties, and steel ye nerves for this game of high stakes on the high seas. Be ye a Pirate King? Find out as ye gather yer band of cutthroat, scurvy scallywags and sail forth under the brave, black flag in search of plump, defenseless lubbers with hoards of booty. ‘Cause it’s ne’er too early to teach yer wee ones how to pillage and plunder the buccaneer-way, eh? Argh! Loot is a breezy, card game of bidding. 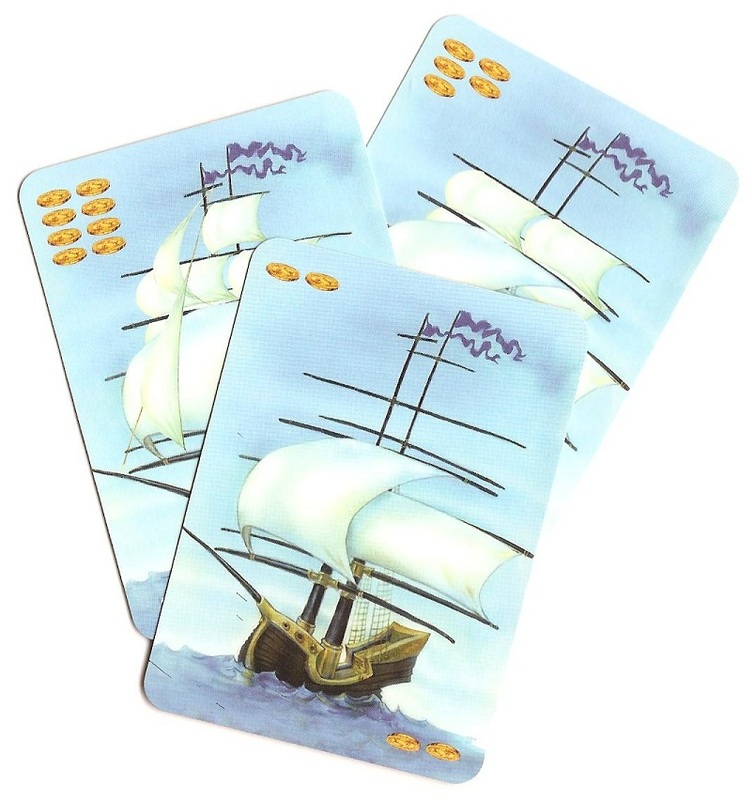 With the exception of five cards, the deck consists of either Merchant Ships or Pirate Ships. The Merchants are valued at anywhere from 2 through 8 doubloons, while the Pirates come in four colors and have attack values from 1 to 4. The five exceptions are an Admiral and four Pirate Captains, one in each color. 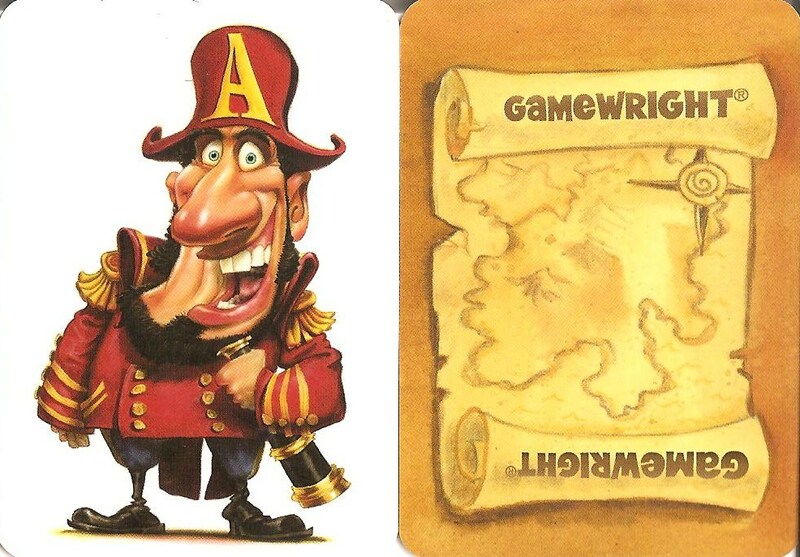 On your turn, you first claim any Merchant Ships in play that you have “captured,” and then you may either play a card or draw a card. If you play a Merchant, you simply lay it down in front of you. If you play a Pirate, you place it on any Merchant Ship on the table (yours or another), subject to a couple of rules. First, your Pirate Ship must be a different color than those already played on the Merchant by your opponent(s). Second, if you want to add to your strength on a contested Merchant, you must continue to play Pirates of the same color as you played there previously. If you played a Merchant on your last turn and no one attacked it, you capture it. Likewise at the beginning of your turn, if your attack strength is greater than your opponents’ (individually) on any Merchant Ship, you successfully capture it. The special cards can give you a major boost of fire power! If you play a Pirate Captain of the same color Pirate Ship(s) that you currently have fighting over a Merchant, then you automatically defeat all Pirate Ships, no matter their values – unless, that is, an opponent plays another Captain after you, in which case the last Captain played wins. You can also play the Admiral in a similar fashion, except only on one of your own Merchant Ships, and there is no requirement to have played a Pirate Ship first. The game ends when a player runs out of cards and the draw pile is depleted. Any unclaimed Merchant Ships are discarded and not counted. Then each player counts the total gold value of all of his/her captured ships and the winner is the one with the largest haul. In the event of a tie, the two players duel with either pistols or cutlasses, with the survivor claiming victory. Or maybe that’s our house rule…? Shiver Me Timbers, or Walk the Plank? Many hobby games have bidding elements and/or press-you-luck, risk-taking characteristics. This, in a nutshell, describes Loot. It is a nice title with which to introduce children to those common gaming mechanics. Generally you will have limited Pirate Ships of adequate value AND similar colors necessary to target all the ships you want, so you’ll need to weigh the pros and cons in committing to a particular Merchant or holding back for other prey. Are you willing to attack that juicy Merchant worth 6 gold? Once in a fight, do you gamble that your opponent is out of his/her color so that your lowly ‘1’ value may tip the scales and earn you the victory? Decide now, or that ripe prey may be gone come your next turn! That is the extent of Loot’s strategy and decision making. Another of the game’s elements is hidden scoring. All captured Merchants are placed facedown. Good memories will retain some idea of who the leader may or may not be, but none know for certain until the end of the game. Choices are not particularly strenuous or stressful. This makes it ideally suitable for children. The box rates the game at 10 years or older. However, my (almost) 5-year old daughter plays the game just fine, with an admitted early fixation to fight mostly for “her” Merchants (those that she had laid down), despite better values elsewhere – her display of loyalty was cute, nonetheless. Loot is an extremely simple game. It also includes a partner-play version, but the rules are very similar. 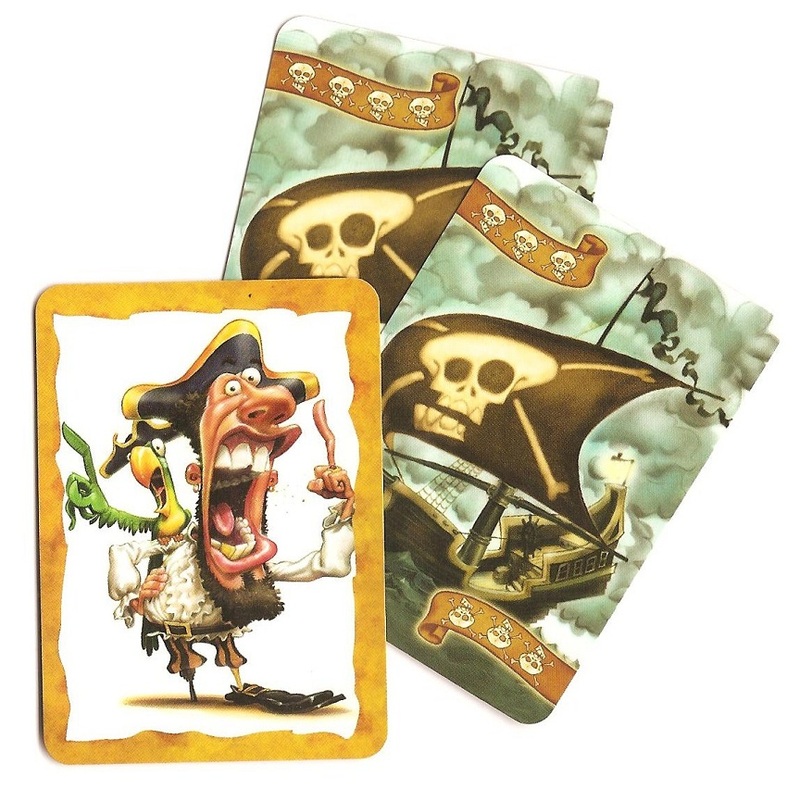 As a quick, light-hearted card game, it offers a little for serious gamers in the form of an evening’s warm-up, filler in between games, or night cap – perhaps more so for Knizia fans. For families, it has a bit more potential. The price is right and it’s a good introductory bidding and press-your-luck game that is accessible to all ages. Well… I apparently like this game more than you do! I think that Loot is very good for what it is – a light filler. Ah well.